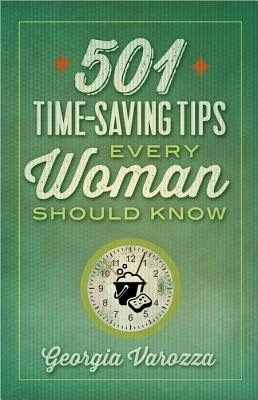 Georgia Varozza, a popular blogger and author, has combined all the numerous how-to skills, wisdom, and tips she has learned over the years into one manual written just for women. In my opinion, this isn’t really a book for women who have been running a home for years, but more for the younger woman who is just starting out living on her own or in a new marriage. Most of the 501 tips I had heard of or already do on my own. But, there were a few that were new to me, for example, I didn’t know the nutrients in the leftover pasta water are beneficial to plants. I will be watering my plants with my leftover pasta water next time rather than just sending it down the drain. I also learned tips for keeping ants out of the home and found some new slow-cooker meals that I’d like to try. This book covers all areas of life including gardening, safety, housekeeping, beauty, cooking, and family issues. In between all the tips there are also quotes and wisdom from famous people and authors as well as applicable Scripture verses. This would make a wonderful bridal shower or graduation gift as you are looking ahead to these spring and summer gift giving occasions. 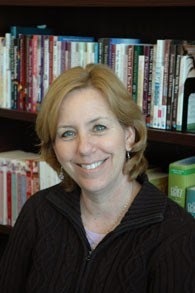 Georgia Varozza, author of the popular Homestyle Amish Kitchen Cookbook(nearly 60,000 copies sold), enjoys teaching people how to prepare and preserve healthy foods, live simply, and get the most from what they have. She works in publishing and lives in a small Oregon community. You can find Georgia blogging at http://georgiaplainandsimple.blogspot.com/. Thanks to NetGalley for providing an eBook copy for review. This review is my honest opinion. I was not compensated in any way for this review. If you choose to purchase a copy of this book through the above link, I may receive a small commission without you having to pay a cent more for your purchase. Thanks for supporting SincerelyStacie.com reviews. I caught the subject of this post the other day when my computer was down, and had to come back and see what you had to say. Glad I did, instead of buying it for myself, I know the perfect young lady starting out I will get it for!